Igor Girkin, the one-time “defense minister” of the self-proclaimed Donetsk People’s Republic, has said that he and his squad of Russian special services soldiers started the war in east Ukraine. He made the claim in an interview published on Thursday in the Russian right-wing newspaper Zavtra. 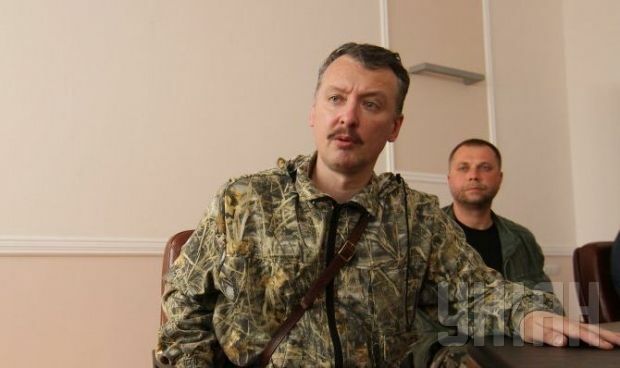 "It was me who pulled the trigger of war,” Girkin said. “If our squad had not crossed the border, everything would have come to an end, like in Kharkiv, like in Odesa,” Girkin said, referring to failed attempts earlier in the year to overthrow the local authorities in these cities. “There would have been a few dozen killed, burnt, arrested - and that would have been it. But this flywheel war, which is still going on, was started by our group," he said. He also said that he was not from the military, but from the "secret services," and confirmed that Russian regular army units are involved in the war. Earlier Girkin said that in the beginning of April, he had crossed the Russian-Ukrainian border with a group of 52 people. The seizure of Ukrainian local government buildings, police stations and security service offices by “separatists” in eastern Ukraine started in mid April this year. According to the UN, more than four thousand people have been killed in the fighting that has erupted in eastern Ukraine. The organization has also said that the actual number of victims of the war could be much higher.